Why Didn’t Someone Tell Me I Wasn’t Supposed to Do That?! 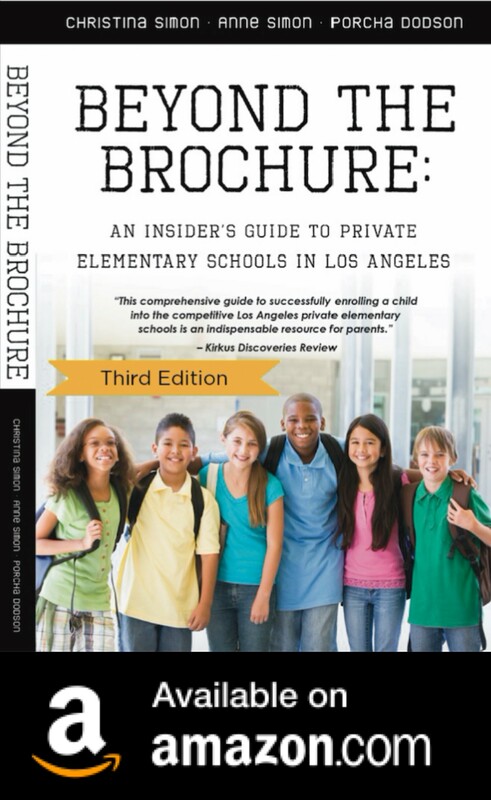 Applying to private schools in Los Angeles can be stressful for so many reasons. 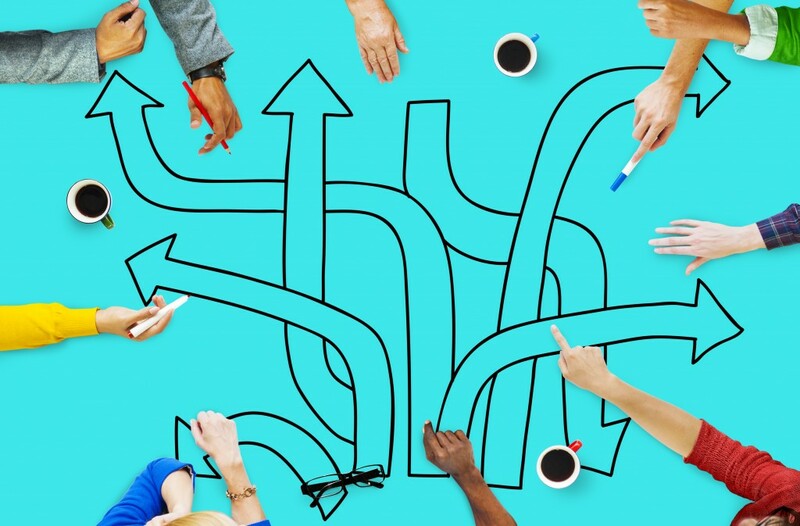 Selecting schools, writing essays, prepping for interviews, coordinating open house visits – all of it can be overwhelming to even the most savvy applicants. But when you add judgment calls to the mix, the whole application process can be downright maddening. It’s amazing how many people have asked us if it’s okay to make donations when they are applying, or to have famous people call the admissions on their behalf, or to submit 10 letters of recommendation, or any number of supposed strategies to help them get in. And while these situations are straightforward for admissions officers, many applying families simply become befuddled by the options. We can’t expect families to know the subtleties of the admissions process. It can be very confusing. To help demystify some of these situations, however, below are a few suggestions on what families should do, and what notto do, when applying. First of all, if you do not have contacts at a school, do not worry – it’s not essential. It’s a myth that you must know someone to get into a school, and that false premise creates a lot of undo stress for families. But, if you have a close friend who knows your child well, and if that friend is associated with the school you’re applying to (current parent, alumni, Board member, etc. ), then by all means ask them to send an email to the admissions office on your behalf. The letter should be short but insightful, with meaningful observations and praise for your child. Also, one to two additional letters of recommendations (beyond required letters from teachers or school administrators) will be more than enough. Many admissions officers have been inundated – and annoyed – by families submitting five, 10, and even more recommendations. It’s overkill and unnecessary. If you love a school and absolutely would send your child there, then send a nice, short email to the admissions office stating why the school works for your family and that you would absolutely matriculate if given the opportunity. It’s helpful for admissions officers to know that you’ll accept – it differentiates you from another applicant who might be just as qualified but more interested in another school. If you do send a 1stchoice letter (i.e., email), however, only send it to one school, and then fulfill that promise. It’s incredibly bad form to send a 1stchoice letter to multiple schools, or to deny an acceptance and go elsewhere after you’ve sent such a letter. This should be obvious, but it’s unbelievable how many parents (and sometimes kids) are rude to administrative and custodial staff at schools. We know many anecdotes where a child would have gained acceptance but was denied because a mother or father was rude to a front desk receptionist or parking attendant. Always keep in mind, a school is not just accepting a student, but also his or her parents and family. They are building communities. No admissions officer wants to bring difficult, rude, or entitled people into that environment. As mentioned above, applying to schools is not just about the student, but about the family as well. It’s worthwhile for parents to prepare for interviews, and to make sure they are on the same page with each other (when applicable). It’s awkward when a student shines but a parent comes across as disinterested and uninformed about a school, or when two parents seem to disagree about what’s best for their child. If you happen to know someone important or famous – and if that person doesn’t know your child very well – having them send an email or letter probably won’t help. In fact, it could hurt your standing. Admissions officers are not impressed by big Hollywood names or Senatorial/Gubernatorial/Presidential letterhead. They’ve seen it all before, especially in Los Angeles. This is particularly troublesome when the recommendation is cursory and doesn’t demonstrate a meaningful knowledge of the applicant. In those cases, it seems as though the family is trying to drop names, and that leaves a negative impression. Please don’t do this during the admissions process. Seriously. It may seem like a nice or generous gesture, but it looks like the donating family is trying to buy its way into the school. You can donate once you are accepted and matriculating! People in L.A. are busy. Many are important. Yet, some of the biggest names and wealthiest parents still find the time to call an admissions office themselves to ask questions or coordinate appointments. If they can, everyone else should be able to as well. Having an assistant or employee call instead of yourself can come across negatively. Beyond the specific situations listed above, there are a couple of other points we like to mention to clients. The first is to not get caught up in the race for a “bumper sticker school”. Many families become fixated on specific schools because of a reputation within a community, or competition with other families attending the school, or many other reasons. Sure, the bumper sticker of that school might make a parent proud or boost social status in some circles, but at the end of the day what matters most is how a child responds to his or her environment. The fit is always the most important element, in our opinion. If you focus on how and where your child will thrive, the potential of a happy child starts to take priority. Additionally, if possible, do try to relax and have fun! We know this might sound crazy. But we have seen many families who have learned new insights about their children and themselves through the application process. It can be part therapy, part introspection, part discovery. And that can be beautiful. *Priya and Sanjay Nambiar run Nambiar Advising, a consulting practice that shepherds families through the private school admissions process, from helping clients find the best-fit schools for children to application support, essay editing, interview preparation, and more. Priya has spent more than 20 years in education and was the Associate Director of Admissions at the Brentwood School in Los Angeles. She earned a B.A. in Education from Brown University and an M.Ed. from Harvard University. Sanjay is an entrepreneur and professional writer who has written several award-winning children’s books. He earned a B.A. in Economics and Neurobiology from U.C. Berkeley and an M.B.A. from UCLA. To learn more, please visit www.nambiaradvising.com. Follow Beyond The Brochure on Facebook for the latest Los Angeles private school news and events! Tough Decisions! Should I Lock in the Next 13 Years Now, or Should I Allow for Change? You’re ready to apply to private school. You’ve done your research regarding traditional versus progressive pedagogies. You have a good idea of the type of setting where your child will thrive. Now, should you apply to K-12 schools and be done with the process forever? Or maybe K-6 is a better strategy? And what about K-8? A few schools offer Developmental Kindergarten. As if worrying about tuition and application essays were not enough, we also have this K-12 vs. K-8 vs. K-6 debate. It’s enough to make any parent pull his or her hair out! Okay, deep breaths. We can do this. We will do this. 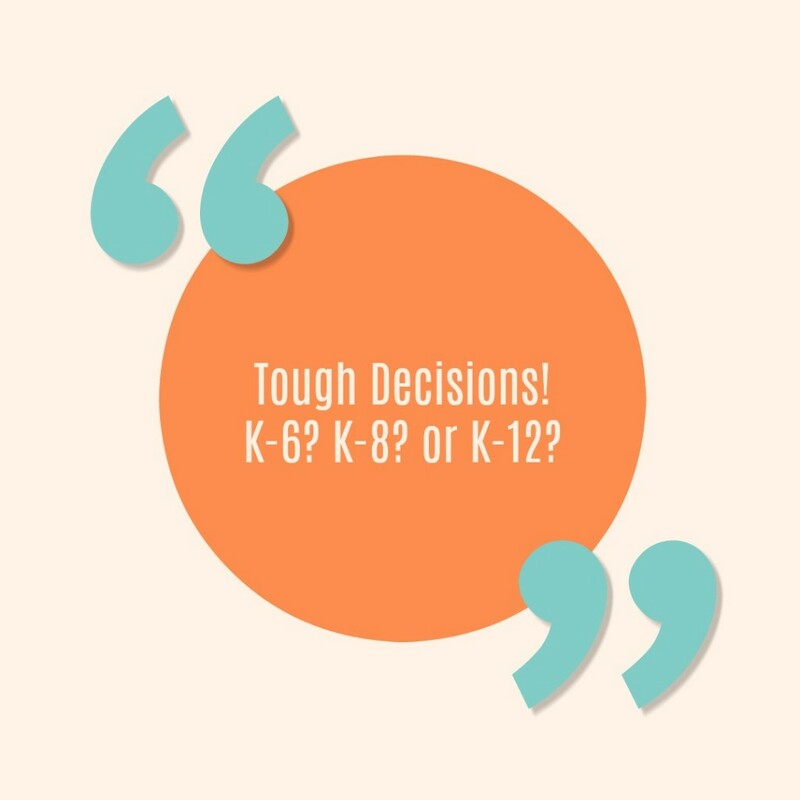 When it comes the grade structure of a school, each option offers a bevy of pros and cons. Ultimately, it’s about finding the right fit for your child and family. What works for Johnny might be the opposite of what’s best for Jennifer. There is no right or wrong strategy. But there is solace in this. As long as we try our best – and do our research – we’re doing right by our kids. And that is always priority number one (at least in our opinion). So, let’s jump in . . . Below is a check list of the some of the pros and cons for each of these school structures. This list focuses just on the nature of the grading groups. It doesn’t delve into the specific academic approaches of any school, which often are the biggest determinants of what constitutes a best-fit for a child. Nonetheless, these are a few elements to consider as you’re exploring various schools. You don’t have to do this again. Applying to private school can be a grueling and anxiety-inducing process. From understanding the various school philosophies to the essays, interviews, school tours, and financial aid applications, it’s often overwhelming for even the most prepared families. With a K-12 school, once you’re in, you never need to do this again. Starting at 5thgrade, students need to take the Independent School Entrance Examination (ISEE) when applying to private school. (Think of it as the SAT for private schools.) But if you’re in a K-12 school, your child doesn’t need to take this test. Ever. That’s a decent amount of stress and studying to avoid. Many K-12 schools have a special sense of community. Your child can be with the same cohort for up to 13 years. It becomes like family, and those bonds can last a lifetime; some schools even call these kids “lifers”. If the fit is right, this consistency through adolescence and the teenage years can be wonderful. But there’s also another side to this . . . (see below). 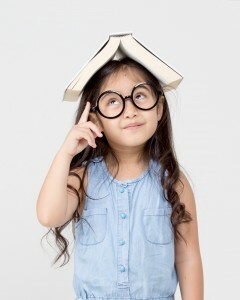 Developmentally, we often don’t know the details of a child’s learning style until about 3rdor 4thgrade. Moreover, many kids change significantly during their tween years (10- to 12-years-old). As a result, the academic approach of the school you chose when your child was in Kindergarten might not be a fit when she is in 6thor 7thgrade. If you don’t love your community in elementary school at K-12 school, you might be out of luck. Your child could be in a peer group that he or she doesn’t connect with, and likewise you might not connect with other parents. And this varies from year to year. The classes above and below your daughter’s might be delightful, but she unfortunately might be stuck with a crew that doesn’t totally fit her – even if new students join the school in 6th, 7th, or 9thgrade. It’s random and sometimes can’t be anticipated. Moreover, as your child changes in the tween and teen years, he might want (or need) a new and different group of friends. Changing at 6thor 9thgrade could be a refreshing move that leads to more success. Further, this change can help prepare kids for the big transition on the not-too-distant horizon: going to college. K-6 schools tend to be experts on elementary education. They know the pedagogy and philosophy incredibly well. They know this age group incredibly well. It’s what they do, and all of their resources are devoted to this one aspect of education. There’s no diversion of resources into middle or high school. At 6thgrade, you’ll have a much better idea of how your child learns and in what type of setting he or she will flourish. That means you can apply to great options at 7thgrade, both private and public, that could help foster your child’s academic, creative, and social potential. And that school might be very different from your current K-6 school, and that’s okay. Also, a child can have a special opportunity to change his or her environment in 7thgrade. It’s a time to learn key life skills: how to move to a new setting, how to adapt to new people, and how to cope with change, all with the benefit parental support. As mentioned before, applying to private school can be stressful on many levels. Also, your child will need to take the ISEE (or perhaps another entrance exam, depending on the school) as part of the application. If you’re at a K-12 school, you get to avoid this process. Although learning how to adapt to new environments is an important life skill, for some children this type of change can be overwhelming. Combined with the typical trials and tribulations of puberty and early teenage years, switching to a new middle school can be a stressful experience, even if it results in personal growth. K-8 schools enjoy the K-6 pros mentioned above. Additionally, they provide the benefit of a relatively seamless transition to middle school (7th& 8thgrades). This can reduce the stress of changing schools and make those awkward early teenage years a little easier for students, especially those who may be a little shy or vulnerable. Also, 7thand 8thgraders in these schools have an opportunity to be leaders, while delaying the move to another school simultaneously keeps them young. In fact, researchers in one study compared K-8 schools to traditional 6-8 settings and discovered that K-8 students earned higher SAT scores as well as higher GPAs in 9thgrade. K-8 schools also encounter the same K-6 cons mentioned above. Additionally, some families transition out of a K-8 school at 7thgrade, for a variety of reasons. For example, some K-12 (and 6-12 or 7-12) private schools have fewer openings at 9thgrade than at 7th. This results in 7thand 8thgrade classes at K-8 schools that are thinner, as families apply out sooner. The smaller class sizes can be a bonus, but this attrition also can affect morale, change the culture of a class, and result in fewer resources for these grades. No matter where you choose to send your child to school, success has a myriad of factors beyond the K-12/K-8/K-6 debate. When a student thrives, it’s about educational philosophy, peer circles, access to creative endeavors, family dynamics, and so much more. Perhaps knowing this can make the research and decision about K-12/K-8/K-6 a little less stressful. Because, ultimately, the educational journey is a long one. And regardless of what type of school structure your children attend, they can forge a path that harnesses their potential and joy for learning. Keep up with the latest L.A. private school news and events on Beyond The Brochure’s Facebook Page. How does your 8 years of experience as a former Associate Director of Admissions for Middle and Upper Schools at Brentwood and your work at Viewpoint School help you serve your clients? Through my experience at Brentwood School and at Viewpoint School, where I was the Associate Director of Admissions before Brentwood, I understand what it feels like to admit one student over another. It was extraordinarily difficult to choose some students and deny others – especially when it was due to limited class space. I’ve been in the trenches in those decisions committees, so I have some unique insights into those admissions nuances. Also, all schools have slightly different processes, but ultimately it’s always about “fit”. I appreciate what it means to find the right school for a specific child, not just a “bumper sticker school” that’s more about prestige or bragging rights rather than what’s best for the student. I understand how a family and student would want to do everything possible to impress an admissions office. Yet, Los Angeles has so many wonderful schools that match different types of families and students. Not everyone will be happy at every school. Experiencing this from the perspective of an admissions officer makes me emphasize the importance of finding the right environment for each child. What does finding the “right fit” in a school mean to you? Why is this so important? The right fit can be composed of many elements: academics, student and family culture, social and emotional development, athletics, arts programs, class size, and more. It’s about the connection a student and family has with the school on multiple levels. And that’s what makes it so important – when that connection occurs, children and families thrive. The school becomes more about shaping a life experience and goes far beyond tests and grades. Each school – whether is K-12, K-6, K-8, or 9-12 – has its own culture. The challenge is to understand both the student and schools well enough to identify where the best connections will happen. I work with families applying to everything from Kindergarten to 12th grade, from independent private schools to public schools, and with children with special needs and learning differences. I provide a variety of services to try to accommodate different families’ needs. I have an initial two-hour consultation where I meet with the family and student, research potential schools, review timelines and required materials, and provide guidance to help them navigate this often-confusing process. I offer a full package that entails in-depth work with the family and student in all aspects of the admissions process, including essay review and editing, advocacy when appropriate, and more. This is a more involved, customized service where I’m with the family for everything they might need. Additionally, I offer interview preparation sessions (in-person one- to two-hour sessions that prepare students and parents for their interviews) as well as group seminars (two-hour sessions for 15-30 people hosted at a family’s home where I provide an in-depth overview of the admissions process). Can you give us a few reasons why a student might get wait-listed? Students can get wait-listed for several reasons. Sometimes there truly is not space for them, even if they are very qualified. There may be another student with a similar profile that was chosen over them. As schools want to create a balanced class, sometimes wait-list decisions are about timing and that specific school year. For example, suppose four male oboe players are applying in your year. If your child is a male oboe player, he may be waitlisted. Had it been another year, the result could have been different. Schools also want to ensure that students are academically qualified, will fit in socially and find friends, be kind to others, and contribute to the extracurricular life of the school. Some children will be a great fit for some of these parameters, but not for others. Additionally, schools want to have full bands, performing arts programs, sports teams, students interested in journalism, and other extracurricular elements. Applicants will look attractive to a school based on what the school needs to fill. What about a declined admission letter? Similar to the wait-list, students can be declined admission for several reasons. Sometimes a school will deny students if they won’t be successful there academically. A child’s grades, ISEE scores, school visits, and assessments will imply that potential. But keep in mind that all schools are different. While a child may not be an academic fit for one school, he or she may be a perfect fit for another. Also, sometimes a school will deny students admission even if they are academically qualified, if other class factors are involved. For example, the class simply may have too many boys (or girls, or artists, or goalies, etc.). This might seem random or too dependent on happenstance, but unfortunately it’s a reality of the admissions process. Additionally, wait-list vs. deny is a challenging decision. While you want the student to know that they are qualified, you don’t want to give them hope if there isn’t any. If the fit just isn’t there, you want to make sure they get excited about the school or schools they do get into. Sometimes you shouldn’t wait to sign a contract because you feel there is a chance at the school where you’re wait-listed. You’ve been an educational consultant for 3 years. What do you like most about it? I love my work. As an educator for over 20 years, I love learning about my client families and students and identifying where they would thrive. It’s exciting to then combine that understanding with my knowledge of the schools and the different ways they approach education. All of this comes together to help families and students find the best school matches. I have helped families get into Berkeley Hall, Brentwood, Brawerman, Buckley, Campbell Hall, Carlthorp, Chadwick, Harvard-Westlake, John Thomas Dye, Laurence, New Roads, Oakwood, PS1, Turning Point, Village, Vistamar, Willows, Wildwood, Westland, and more school across Los Angeles. It’s incredibly rewarding and fulfilling to see these kids get into schools and begin a journey that could help them realize their potential. Priya Nambiar has spent over a decade in private school admissions and over 20 years in education. For eight years, she was the associate director of admissions for middle and upper school at Brentwood School. She understands the stress and anxiety that applying to competitive schools creates. She also understands what private schools are looking for in a candidate’s application. Additionally, Priya is a mom of twin daughters who attend a private elementary school. She has experienced first-hand the application process as a parent and as an admissions officer. With her direct experience and dedication to education, she hopes to reduce the stress that families experience and to match parents and children with the best schools for them. Keep up with Beyond The Brochure on Facebook!